Field Marshal is the highest position in the Army, in the history only two members had this post. 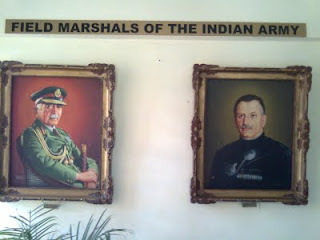 One is General Sam Manekshaw and another one is General Kariappa. In this photo, the left one is the General Manekshaw and another one is the General Kariappa. They were the leaders for the leadership of Army. Great to hear right..